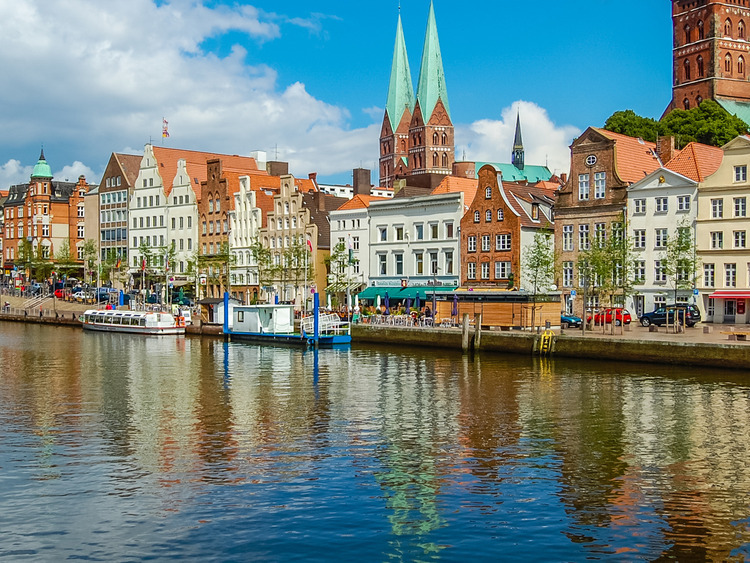 Lubeck has much to offer, not only for the historians among you! Start off at the pier in Warnemunde with an approx. 2h scenic transfer to Lubeck. Meet your guide and start with Lubeck's "Holsten Gate" where you have your first of many photo opportunities. The gate from the 15th century is the landmark of Lubeck, which is symbol not only of the well-fortified medieval town but also of the self-confidence of the former Queen of the Hanseatic League. Your walking tour starts at the city center. Your tour leads through the picturesque Old Town which was declared a World Cultural Heritage Site by the UNESCO in 1987. Walking the historic alleyways and courtyards, see the Seven Spires and the Hospital of the Holy Ghost dating back to 1280. This hospital is not only one of Europe's oldest social institutions but also one of the most significant monumental buildings from the Middle Ages. Proceed to the historic Town Hall which was built in the 13th century and is considered to be one of the oldest, most magnificent in Germany. Have a view at the St. Mary's Church which is the third-largest church building in Germany. Of particular interest are also numerous 15th- and 16th-century patrician residences and salt storehouses. Pass by the Buddenbrook House, the former home of the Lubeck-born authors Heinrich and Thomas Mann. Another highlight is the unique Marzipan-exhibition in the trademark Café Niederegger. Enjoy your free time to explore the narrow, cobble-stoned streets and the variety of small and elegant shops. A viagem de ônibus para chegar a Berlim é de aproximadamente de 2 horas de ida e de 3 horas para retornar.